ANAHEIM, Calif. (BlizzCon® 2015) – Razer™, a world leader in connected devices and software for gamers, and Blizzard Entertainment, developer and publisher of some of the industry’s most epic games, today announced a full suite of Chroma-enabled PC gaming peripherals based on Blizzard’s upcoming team-based shooter, Overwatch™. Set in an all-new Blizzard game universe, Overwatch is a 6v6 first-person shooter featuring a vibrant cast of heroes, each with his or her own unique arsenal of weapons and abilities. As part of its official Overwatch gaming peripheral collection, Razer is enhancing the award-winning DeathAdder Chroma gaming mouse, BlackWidow Chroma keyboard and Goliathus Extended mouse mat with Overwatch game elements on the hardware. For more information about the Chroma lighting open platform, please visit www.razerzone.com/chroma/. All three Overwatch Razer hardware products are on display and able to be demoed by BlizzCon® 2015 attendees at the Razer booth. Overwatch brings Blizzard’s signature easy-to-learn, hard-to-master gameplay to the FPS genre. Players pick their hero of choice and join forces in teams of six to battle each other across a range of futuristic global locations, from the hologram-lit streets of London to a bazaar in the shadows of a high-tech Egyptian pyramid. The battlefields are built to highlight each character’s unique abilities, and fights can shift from streets to rooftops to open skies within the span of a breath. *Chroma game integrated lighting effects are available on all Razer BlackWidow Chroma and DeathAdder Chroma products via Razer Synapse. – Approximate weight: 105 g / 0.23 lbs. 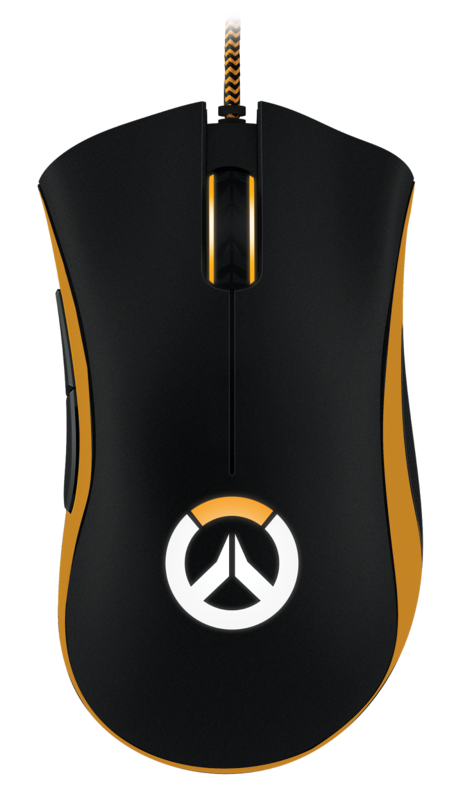 For more information about the Razer DeathAdder Chroma Overwatch gaming mouse, please visit www.razerzone.com/overwatch. 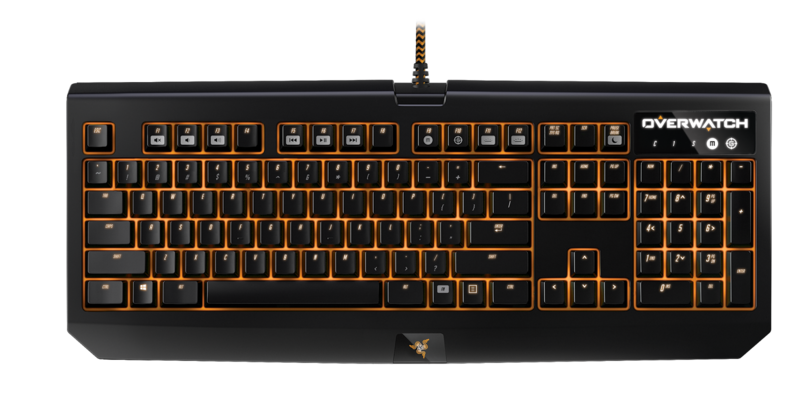 For more information about the Razer BlackWidow Chroma Overwatch gaming keyboard, please visitwww.razerzone.com/overwatch. For more information about the Razer Goliathus Extended Overwatch mouse mat, please visitwww.razerzone.com/overwatch.